Hereby a so called "Cheat Sheet" where you guys have all the information possibly needed to advertise our game in one simple place. 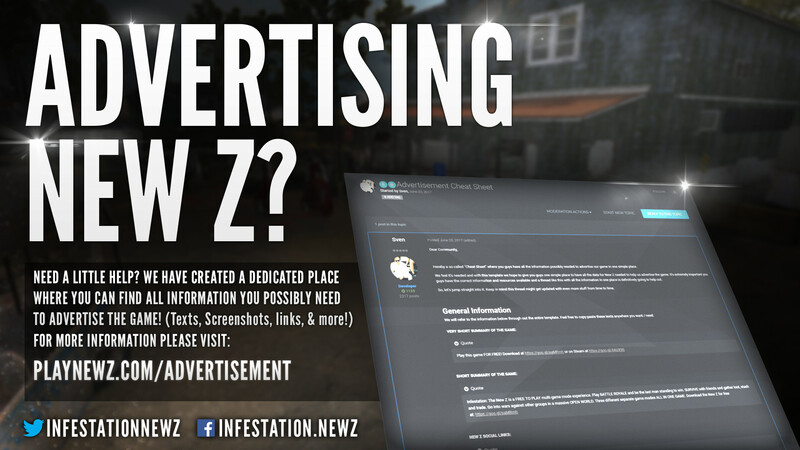 We feel it's needed and with this template we hope to give you guys one simple place to have all the data for New Z needed to help us advertise the game. It's extremely important you guys have the correct information and resources available and a thread like this with all the information in one place is definitively going to help out. So, let's jump straight into it. Keep in mind this thread might get updated with even more stuff from time to time. Of course you can always visit our socials and use what ever picture you want. If you need additional pictures or have pictures we can use, please contact staff. Want to do a little extra and get officially recognized? Become a Fredaikis partner! This partnership program is aimed to benefit both parties. While the content creators help us advertising the game in a natural way, it also gives them the chance of being a recognizable part of the community, which helps them grow while also being rewarded for their effort and time. The goal of the partnership program is to promote and advertise our games and at the same time have a dedicated partnered group of content creators that can interact with their community in order to get more feedback, which will help us keep improving our games. Fredaikis partners are in direct contact with the Fredaikis Staff team allowing them to directly report problems, ideas and other types of feedback to keep our games in the best shape possible. Fredaikis partners are officially recognized by Fredaikis where the partners have perks which can make them more than "just content creators". We appreciate all content creators advertising and playing our game and we'd like to give the ones that want to do a little bit extra something in return. 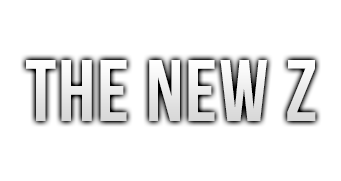 Send New Z a tweet on Twitter using "@infestationnewz". We hope this "Cheat Sheet" helps out! Keep in mind that we will keep adding stuff to this thread so make sure to re-check it from time to time!